Bob’s Burgers season 8 has been doing a phenomenal job with plots about childhood that feel real and specific. This week was about Louise Belcher feeling self-conscious that she still doesn’t know how to ride a bike. Although Louise insisted that 9 isn’t too old to ride a tricycle, her embarrassment was obvious. Episodes where Louise shows vulnerability always have such emotional strength and resonance. The episode explored Louise’s feelings through the emotion she’s best at: anger. A food truck owner named Alice started cutting through the alley by the restaurant and yelling at the kids. Things got real when she made a comment about Louise’s tricycle. This sets Louise off and she goes into an all-out war with Alice. The episode resolved nicely with Tina Belcher getting a moment of glory in the big sister role. She realized that Louise is feeling scared of growing up and taking it out on Alice. 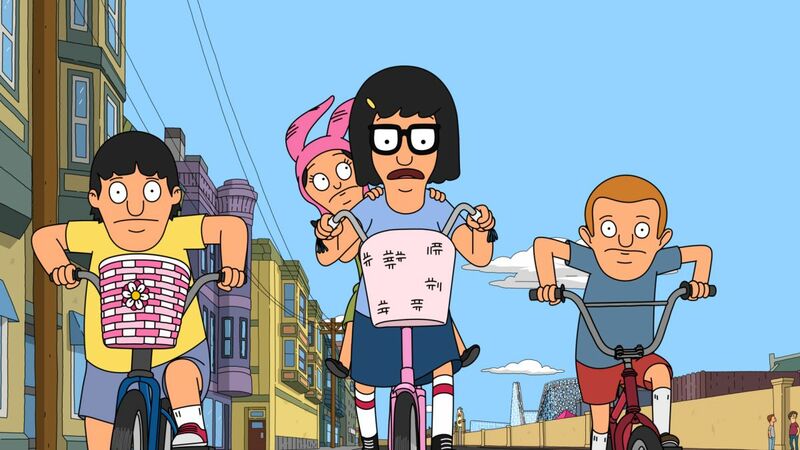 The episode ended on a nice family moment when Louise gave riding a bike a try, a moment that always makes Bob Belcher tear up. They captured family dynamics while through the lens of a universal thing like learning to ride a bike. It was a nice reminder that although Louise is tough, her role in the family is still youngest child. In the subplot, Gayle got a new job working security at a museum. Because she was so bored, Linda suggested that a regular visitor to the museum might be casing the joint for a robbery. This backfired when Gayle locked the guy in the employee bathroom for questioning. It’s surprising that this significantly zanier plot was the main one. But, I’m glad that a more quiet and emotionally rich plot was able to take center stage, while the Gayle plot added a few great comedic moments. In particular, I loved Gayle reminding Linda that it was silly for her to ever assume she won’t end up kidnapping a guy.